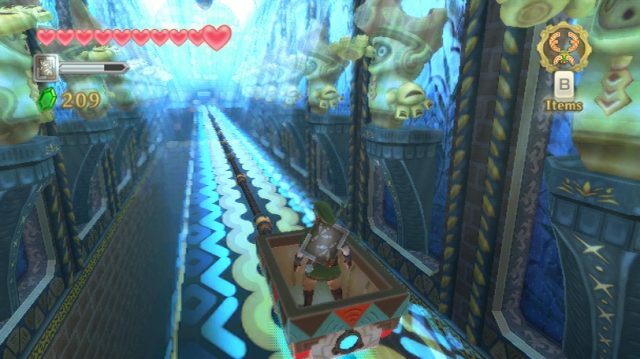 Ajaj, det verkar som att det finns en allvarlig bugg i The Legend of Zelda: Skyward Sword som kan göra din sparfil korrupt. Problemet finns i Song of the Hero-questen, och naturligtvis är det fet spoilervarning på det här. Kort: prata inte med Golo i Lanayru Mine, och definitivt inte två gånger. Ha även dubbla sparfiler så att du inte måste spela om allt. Lite mer information? Kommer här, men som sagt – spoiler! * This issue WILL NOT OCCUR if the Fire and Water Dragon songs have already been collected before collecting the Thunder Dragon’s song. Talking to Golo in the Lanayru Caves will also NOT trigger this issue. * If the game has been saved after completing the sequence of events, it will no longer be possible to proceed through the game on that save file. The only options at that point are to either start the game over or to use an earlier save file to continue. Och! Ha dubbla sparfiler. Alltid.